Keyboardist Craig Taborn is no stranger 'round these parts. His versatile piano playing and use of electronics have certainly been documented in our reviews of his efforts as a leader (check out his solo ECM recording Avenging Angel) and as a sideman (check out his work with Roscoe Mitchell and contemporaries like Christian McBride and Tyshawn Sorey). On Daylight Ghosts, he and his quartet dive deep into the austere and spacious sound that defines the ECM label. The opener 'The Shining One' begins with a quick exchange between drummer Dave King and woodwind player Chris Speed, who delivers the track's corkscrew theme. Taborn's entrance is subtle and bassist Chris Lightcap delivers a powerful punch before stepping back into a supporting role. The concentric layering of the track's short melodic cells heap on the tension, but when the band seems to be just getting started, the track ends! The following song 'Abandoned Remainder' also starts out slowly, but picks up some heady steam while the group shows off a collection of jagged melodic fragments. To my ears, it's track 6, 'Ancients' that serves as the centerpiece of Daylight Ghosts. Its lean framework lets the musicians stretch out with concentrated ferocity. I suppose the following 'Jamaican Farewell' feels like a bit of a letdown to me. It is a minimalistic and pretty ballad, but remains just a bit too ephemeral. Throughout, there are stretches where it feels somewhat static, the build is slow, like on the well titled 'The Great Silence' where Speed's clarinet plays forlornly over tiny splashes of chords, but even so, the sound is crisp and small movements make for big moments. These slower tracks are well balanced by others that catch fire like 'Abandoned Remainder' or are irrepressibly buoyant like 'New Glory', and it is these contrasts that make Daylight Ghosts, as a whole, a compelling listen. Sadly this cd has ECM all over — seem like Taborn is limited and there is too much structure in the music / freedom missing. Taborn is problably my favorite pianist — love his work with Farmers by nature. I dont like chris speed role on sax — never taking a real solo, and way too low in the mix !! I also miss Gerald Cleaver who often play drums with Taborn — this is the first time I hear Dave King on drums and eventhough hi is a great drummer he does not posses the creativity and drive that Cleaver could have added. Sorry, beg to differ. I saw this band live after buying the CD and then went back and listened to it. It's complex and multi-layered as many Craig Taborn recordings are. I think Chris Speed is amazing on this album - live, his restraint and interplay (really coloring in many instances) was incredible. Agree about the Cleaver comment but I think Craig was going for a different sound on drums here. Keep listening. Ancient is the centerpiece of the album but Phantom Ratio is a great cut as well. I also don’t agree. 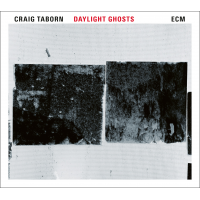 For me, “Daylight Ghosts“ is a different perspective to what Taborn started on his excellent solo album “Avenging Angel“, which is on ECM as well. On the one hand “Avenging Angel“ displays less accessible pieces like the title track, on the other hand there are also balladesque ones like “Forgetful“, which lead directly to“Daylight Ghosts“. Taborn just extends this compositional approach for his quartet. Of course I’m also a fan of Gerald Cleaver, and when he joins Taborn in projects like Farmers By Nature or Lotte Anker’s fabulous trio, the two are hard to beat. Notwithstanding, Lightcap and Speed are great choices in this context and Dave King (of Bad Plus fame) is simply very different to Cleaver. But that’s a rather interesting addition to Taborn’s sound, he’s trying to go along with him instead of highlighting contrasts (something in which Cleaver is a real master). Peter Brötzmann once said that Manfred Eicher cut off the balls of powerful groups for his productions. Here, I disagree with him and with Anonymous 1, I’ve never joined the general ECM bashing. ECM is not only Keith Jarrett, Gary Burton/Chick Corea or Jan Garbarek, it’s also Michael Formanek's Ensemble Kolossus, Snakeoil, Ches Smith/Craig Taborn/Mat Maneri, Vijay Iyer/Wadada Leo Smith and many other wonderful musicians. Especially for the ballads on this album the spacious ECM sound is just perfect. Only on the surface this is music easy to listen to, a closer listening reveals subtle dynamics, for example as to sound and harmonies. Thanks Martin - I think that final point is right on- the music is well served by the production aesthetic, and vice versus. I made the first comment ! I get the point of the other comments. Yes its intended that the sax is more integraded into the sound of the band instead of a more traditionel role with solos + the relative straight drumming, to me its a minus making the music less interesting. I also find many tracks too short, the ideas not really explored. Still there are great tracks and moments on the record. Thanks for a great site, a daily joy.